After taking a month off from participating in the Daring Bakers Challenges, I got straight back into the swing of things with August’s challenge which was to make delicious Chocolate Éclairs. These were actually way easier than I thought they would be and I’m pretty sure I’m going to make them again some time. 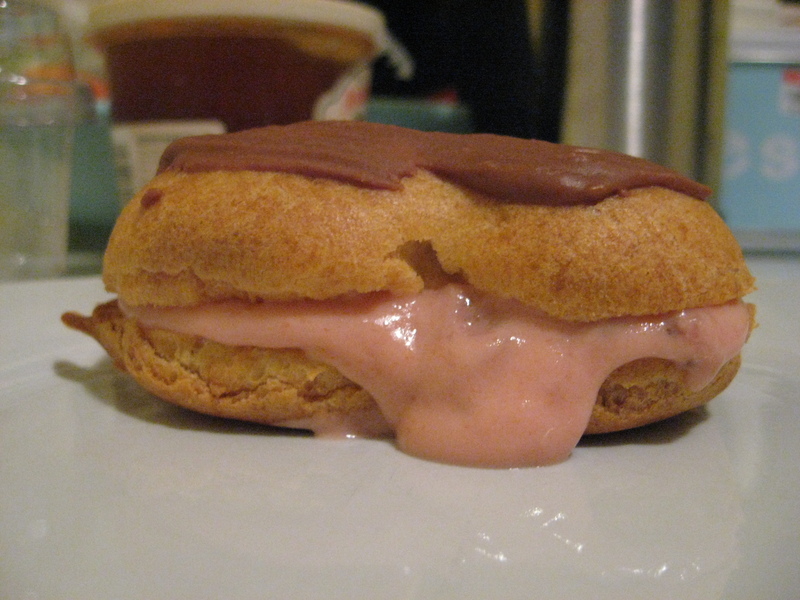 🙂 This time I actually changed the recipe slightly by making a strawberry pastry cream which I made by adding 250g of mashed strawberries to the pastry cream instead of chocolate. The dough itself was fairly easy if a bit time consuming but it was well worth it. The only thing that didn’t work too well was the actual pastry cream. It turned out to be a bit on the runny side but that probably had something to do with the strawberries and stuff. September 1, 2008. 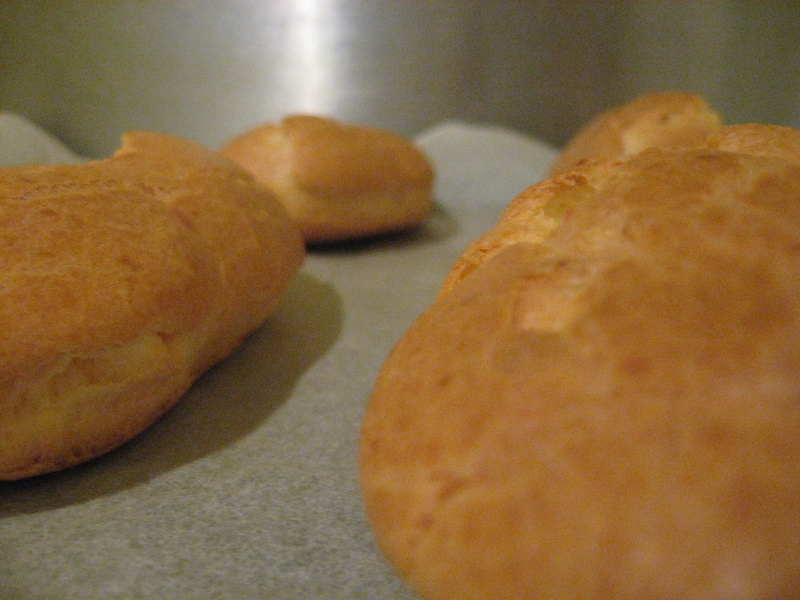 Tags: August Challenge, Baking, Chocolate eclairs, Daring Bakers. August, Baking, Daring Bakers. Leave a comment.